Managing your in-store or on-demand beauty services just became simple and more efficient, leaving you, your stylists, and your clients stress free! Get booked faster with our powerful Online Salon Software and Mobile App. 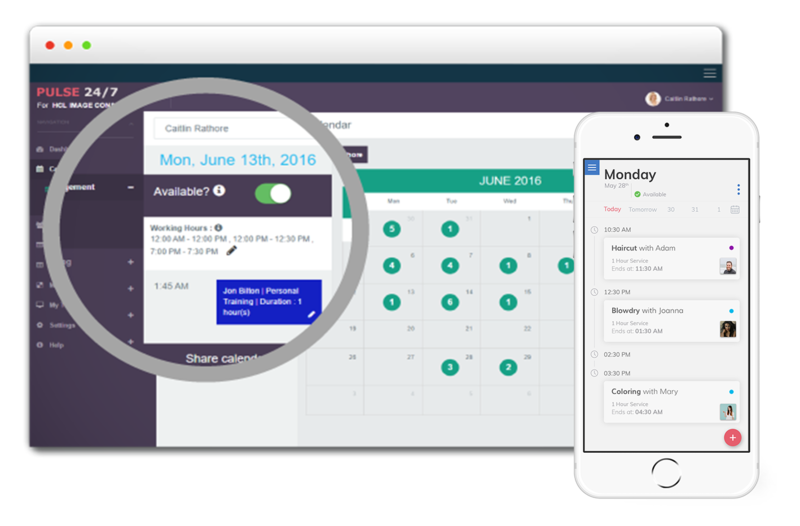 Manage your appointments, team, and payments with just a few clicks. Handle payments simply and efficiently. Upload pictures of your favorite beauty products or share makeup tutorial videos with your clients. View customer reviews and ratings so that you can effectively cater to your clients' needs and improve your business. Directly connect with your clients and immediately let them know about a special new deal you've added.